I get up and pack my duffel bag and backpack keeping the thin curtains on the window shut for now. When I am ready to leave, I push the door open and the icy morning air, tens of mountains hovering in it like clouds, pierces my lungs. 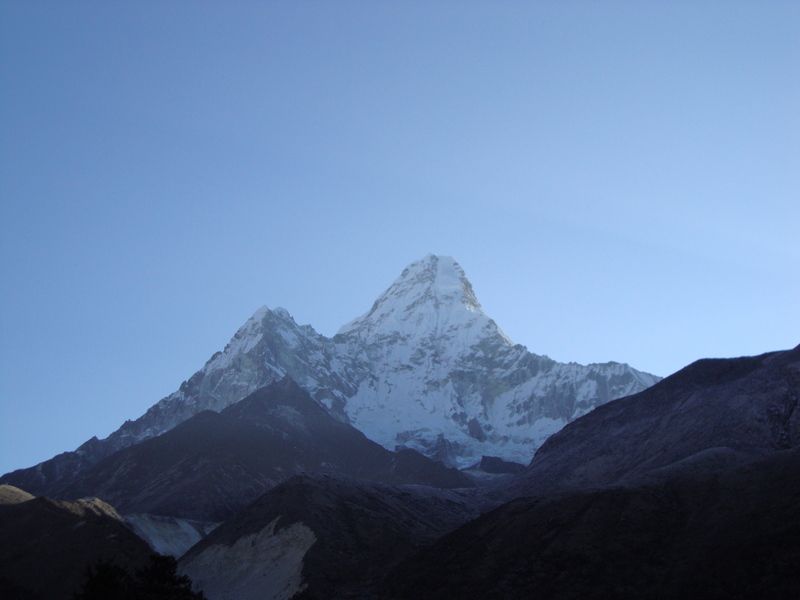 In front of me, above the roofs of the village, above all others, towers she, my mountain, Ama Dablam. She is too tall, too steep and now, after days of wandering in the mist, I can see it all too clearly. ‘I cannot climb it, I cannot climb it, I could never ever climb it,’ I whisper to myself, but something inside me refuses to be persuaded by the voice of reason. Christophe and Sabine are outside as well. ‘What do you think?’ I ask Christophe. ‘Wow,’ he whispers in reply, his eyes as bright as the sunny autumn morning. 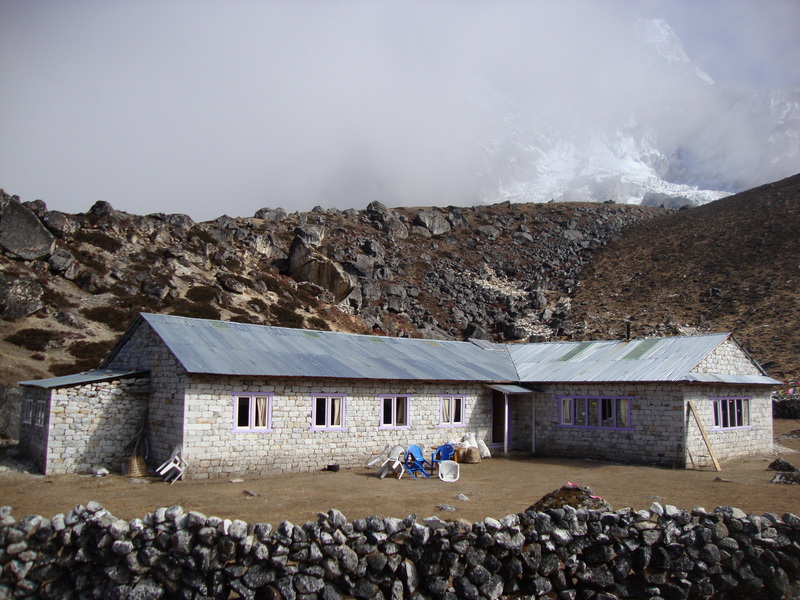 Climbing up to base camp is quick – about 2 hours – but not easy, and the three of us are happy to arrive at the simple but clean lodge at 4600 metres above sea level. The good weather doesn’t last, and together with the evening cold mist is once again crawling towards us. 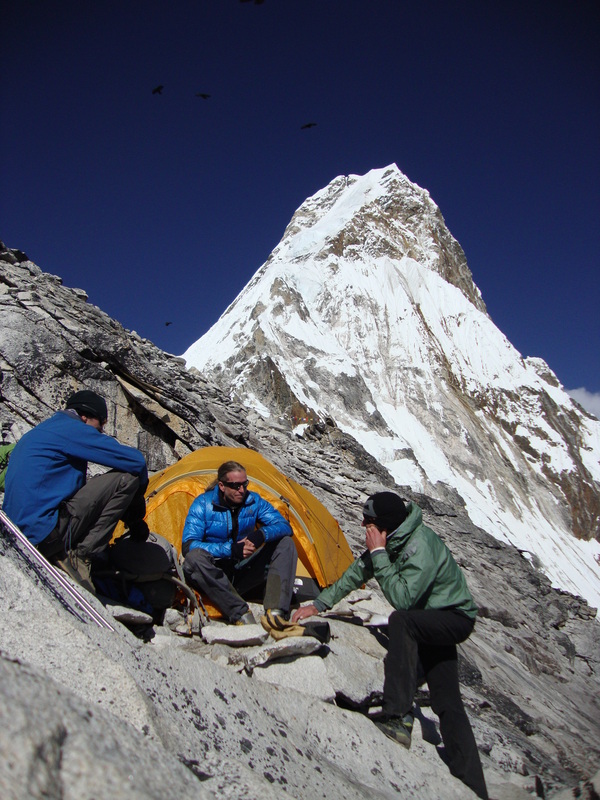 ‘Mila, would you like to have a rest day at base camp?’ my guide asks but he already knows the answer. Thus, the next day I get up early with the rest of the climbers, and sounding a ‘chop-chop’, set off with my laughing Dorje. However, my high spirits are soon ripped right off me by gusts of wind so strong I barely manage to stay on my feet, without exaggeration. My glacier glasses are plastered with grains of dust, as, I fear, are my lungs, and the scree rolling under my feet makes walking upwards feel quite desperate. Terrain eventually changes: we are now climbing grey boulders straight up with no concept of direction on my part. Soon we stumble upon the first fixed safety rope on the route and my exhausted gaze follows it vertically up towards the yellow tents of Camp 1. ‘I have no strength left to get there,’ the voice of reason whinges while one of my hands grabs the rope and my legs begin to move again. Forever later I am sitting on a large cold boulder while Dorje prepares the tent for us. ‘How on earth am I going to even move from this spot tomorrow?’ the voice of reason enquires; the other voice is quiet, simply resting, here and now. Dorje melts ice for our evening meal. I am not hungry and nor is my guide so all I have is instant soup while he settles for black tea. I drink as much liquid as possible hoping it might fend off the impending high-altitude headache. It works and I sleep well if little, getting up early in the morning to pack up and get ready to set off for Camp 2. ‘Chop-chop,’ I say to my guide. I’m sitting here just above sea level in SoCal…amazed by your words and story..but in total admirations of the spirit that you have within you. Thank you so much! I’m flattered you’re still reading :)! The story would not have been the same without you and Sabine, my friend! I feel very fortunate to have had such wonderful people for company on Ama :)! God this peak looks terrific. I don’t know how I’d feel if I was approaching it and thinking I’d climb it lol. How many years of practice did you have to be able to climb on top of this mountain? I’m really impressed. A perfectly shaped mountain! I began to climb, with no great climbing ambitions, 10 years ago, but have not been able to spend time in the mountains regularly while I was at university and then, doing research. I’ve been working on my mountaineering skills more consistently for the past year or so. 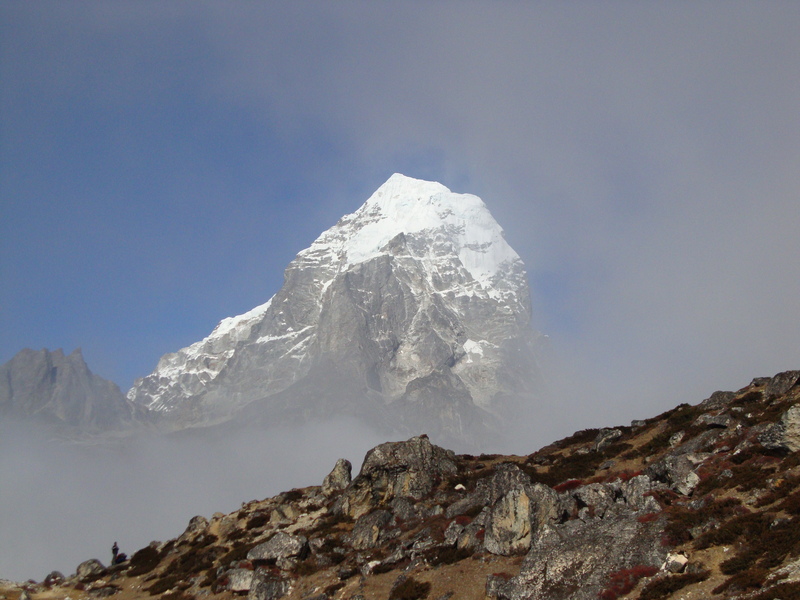 The credit for my success on Ama Dablam goes entirely to my guide, who took me to the summit and back safely.